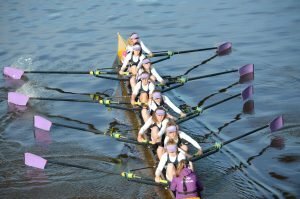 A late addition to this year’s Durham Regatta is the rescheduled Boat Races of the North, an annual contest involving a series of races between the men’s and women’s eights of Newcastle University Boat Club and Durham University Boat Club, scheduled originally to take place on the River Tyne alongside the Newcastle-Gateshead Quayside in March, but postponed amid safety concerns in the aftermath of the Beast from the East. 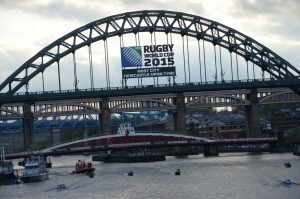 The Boat Race of the North started in 1997 as a challenge match between the Presidents of the two University Boat Clubs, emulating the Oxford v Cambridge Boat Race, and has been held on the Tyne most years since, apart from the years between 2011 and 2014. Durham claimed victory for the first 10 years but Newcastle have dominated in more recent times, making the overall series score 10-5 to Durham. It promises to be an exciting contest with both crews building up to the forthcoming Henley Regattas. 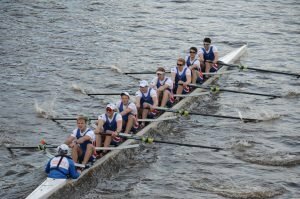 Newcastle will be confident after their Victor Ludorum win at BUCS Regatta in May, while Durham will be buoyed by recent success at the Metropolitan Regatta. This will be the first time that the Boat Races of the North have been staged in Durham, an excellent venue for spectators to enjoy a close-up view of the action. There will be two races over the 700 metre short course, between the men’s and women’s first eights. The men’s race will start at 1.30pm on Saturday closely followed by the women’s race at 1.35pm. Spectators are advised to arrive in good time for the preliminaries!